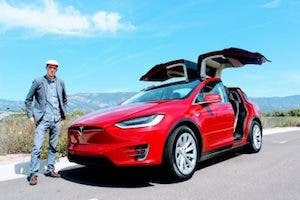 The reality of electric vehicles is that there are many more people who would love to drive an electric vehicle (EV) but aren’t doing so today for a number of reasons. 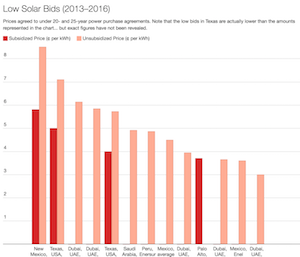 Cost and range are the top 2 reasons, with charging being an issue for some buyers as well. The Chevy Bolt was the first mass-produced, widely available, affordable, long-range EV in the US that also happened to offer fast charging. Right on its heels is the Model 3. Having owned a Tesla Model S for a few years and having spent some quality time with a 2017 Chevy Bolt loaner, I spent some time to compare the two in the categories I felt were most impactful based on my years as an EV driver (owning or having owned a Mercedes B250e, Nissan LEAF, and Tesla Model S). Drivers are split into two categories — those who have owned and lived with an electric vehicle and those who have not. 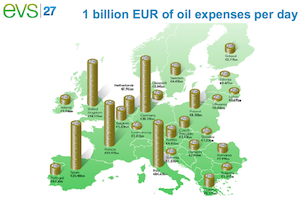 To those who have not owned an EV, they may appreciate the benefits of driving one and have an idea what charging might look like if they were to buy an EV, but it is a different thing altogether to own an electric vehicle. Living with an EV with fewer than 100 miles of range forces the owner to work the kinks out of the system where the rubber meets the road. Those who have taken a journey that is longer than the range of their EV understand what it is like to really, truly have to rely on public charging in their area. The Chevy Bolt is a big step for electric vehicles with regards to charging, as it has an option for a DC Fast Charging CCS port that enables much faster charge rates. While CCS chargers are not as prevalent as Tesla Superchargers, there are not as many vehicles looking to use a CCS charger to refill. Here in progressive Southern California, there are generally one or maybe two 50 amp DC Fast Charging stations in each city. They are typically bundled with a CCS and CHAdeMO port, which makes it easier for the stations to charge up a DCFC-capable vehicle but can also further restrict the charging station’s ability to deliver a charge to more than one vehicle at a time. In my time with the Bolt, I fast charged via DCFC stations several times and found the experience better than I expected, but I also realized that range anxiety came back. With just one station, it was all too easy for the station to be ICE’d with a gasmobile parked in the charging spot or found to be non-functional, which would have left me stranded. Tesla’s foresight and upfront investment in building multi-station Level 4 Supercharging stations serves the company well in this regard. Most stations include 8 or 10 stalls, and (almost) no station has fewer than 4 stalls. Tesla is also adding stalls to high-traffic stations in advance of the flood of Model 3s that are expected to hit the road in the next 12 months. On my 2,600 mile road trip across most of the United States in my Tesla Model S, I never worried about whether a Supercharger would be available when I arrived or even where it was, as they are built in as stops by Tesla’s integrated navigation by default. This highlights the difference between Tesla and Chevrolet. Tesla is run by people who drive electric. They understand the real barriers and benefits of electric vehicles and operate with that in mind. No other automotive manufacturer has had the foresight into electric vehicles to invest in a charging network like Tesla has … and no, VW’s dieselgate-mandated Electrify America initiative does not count. In my mind, the first major automotive company that forces all of its executives to drive electric cars will be the first one to truly make an intelligent push into the electric vehicle market. The Tesla Model 3 wins the charging wars with its massive network of ~130 kW Tesla Superchargers boasting multiple charging stations in an intentionally deployed, integrated charging network that spans most of the US, Europe, and several other regions around the globe. Yes, any other manufacturer could do this, and it’s just a matter of a few billion dollars … but they have not done it to date and suffer because of this inaction. Affordability of a long-range electric car was, until recently, a major constraint for those wanting to drive electric. 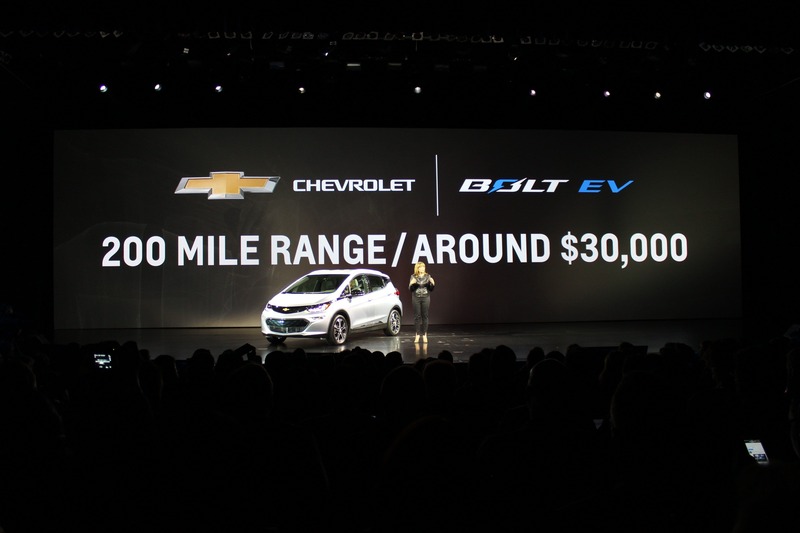 The new $30,000 Chevy Bolt (after the US federal tax credit for ZEVs) is a major accomplishment and evidence that Tesla has indeed scared mainstream manufacturers into bringing long-range, affordable electric vehicles to market. It was clearly a response by GM to the threat of Tesla’s Model 3 and I’m sure Tesla is excited about its existence. 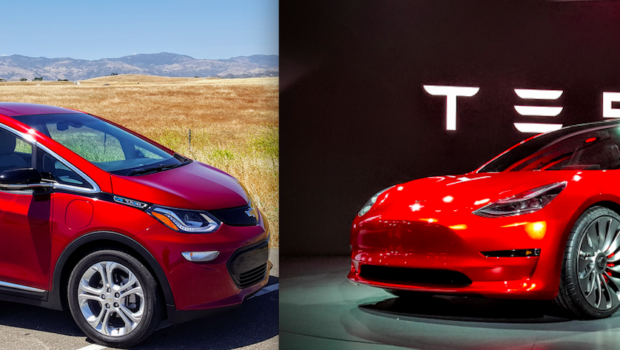 Before rebates, the price of the Bolt at $37,500 is slightly higher than the Model 3 at $35,000. Federal tax credits for Tesla vehicles are expected to run out in the next 12 months, meaning that anyone who is not already in the reservation queue for the Model 3 will likely not get a tax credit for it. Chevrolet has similarly produced numerous plug-in vehicles over the years and is thought to be nearing the end of the 200,000 plug-in vehicles that are eligible for the $7,500 US federal tax credit. Though, with lower demand for the Bolt (available in showrooms today), a tax credit is all but guaranteed for buyers. The base Tesla Model 3 does not include important add-ons like the current Autopilot suite and full self-driving software, features expected to add thousands to the price of the vehicle. Based on data gathered by the Model 3 Owners Group, the average selling price of the Model 3 is expected to be around $50,000. That’s not to say that you have to spend that much, but most buyers will add options. Bolt does not have as many options in this regard and many buyers are comfortable with the base model with the exception of the missing DC fast charging option at $750. I’m calling the price category a wash. Though, technically, Model 3 beats the Bolt at the base price. For drivers who are just done driving a gasmobile, the Bolt can be purchased today, and as some of our single-car readers are aware, it meets the vast majority (if not all) of the needs of the average driver. (More on that later, though, when some of our Bolt-driving readers publish their own reviews of the car.) Deliveries of the Bolt started in December, while Model 3 will not be delivered to the first people in the reservation queue until July. Having said that, if you are not in the reservation queue for Model 3, Tesla CEO Elon Musk has said that you should expect to wait until late 2018 to get your Model 3. This gives the Bolt a sizeable advantage with the average consumer, as it can literally be driven off the lot today, whereas that same luxury for Model 3 is around 18 months away for most prospective buyers — and even then, we don’t know how long demand will outstrip production capacity and force consumers to wait a bit for their cars. While not specifically cleantech focused, autonomous driving technology has become synonymous with Tesla. Its Autopilot suite of technology changes the driving experience for drivers today, with nearly hands-free freeway driving in most regions and Elon Musk committing the company to performing a fully autonomous hands-free cross-country road trip by the end of this year. Chevrolet, on the other hand, has developed a healthy suite of autonomous driving technology that it has demonstrated in San Francisco but with none of the features included in the production version of the Chevy Bolt EV. In response to Tesla, Chevrolet has escalated the pace of its development of autonomous vehicle technology — but, again, the technology is absent in the production version nor has Chevrolet committed to bringing it to market in any future vehicles. Model 3 will have all the hardware necessary for full self-driving functionality and clearly comes out on top for autonomous driving technology. The Chevy Bolt is no slacker when it comes to performance. Stomp the pedal and even with its impressive traction control it is possible to chirp the tires. It boasts an impressive 0–60 mph time of 6.5 seconds and is a blast to drive. Most people do not care about a 0–60 time, and in my 7 years of owning my Prius, I had and still have no idea what it was. Performance for most is about the day-to-day driving experience, and in that regard, the Bolt delivers a peppy pedal with all the torque one could want. The Tesla Model 3, on the other hand, will have a 0–60 time of around 6.0 seconds, with Tesla’s famous Ludicrous mode being available as an (expensive) option farther down the line. The addition of a second motor also promises to offer an incremental performance boost for those who want a faster vehicle but want to retain the ability to breathe during acceleration. Tesla has always had a sweet tooth for performance, clearly claiming it as one of the top selling points of its vehicles (example: the Tesla Model S boasts the fastest 0–60 time of any production sedan at just over 2.2 seconds!!!). For the average driver, these two cars will feel about the same in terms of acceleration, but with Model 3 offering extra options to step it up, Tesla takes the cake for performance. When I bought my Model S, I was very impressed by the “dealership experience” Tesla provided. It had been a few years since I had visited a dealership, as I bought my Nissan LEAF online (which was also a very satisfying, low-stress purchase). Unrelated, unsolicited, and unpaid aside: we bought our LEAF from John Dibella at Wayzata Nissan. They had (have?) LEAFs from the factory that had/have not been titled but do have a few miles on them at great discounts. I highly recommend them. Tesla is known for its all-out customer service and held up to that high standard in spades. I was VERY impressed and enjoyed every aspect of it. Knowing that prices are not negotiable at any Tesla store anywhere in the world at any time is nice. Tesla vehicles can also be configured and purchased online, which is handy in states where Tesla still cannot operate a physical sales center. Tesla has redefined the car-buying experience in a way that makes it a competitive advantage. If I had to choose between buying another Tesla from a dealership or having to negotiate at a Chevrolet dealership for a car … even if it were free in the end, I would be hard-pressed to not choose Tesla. 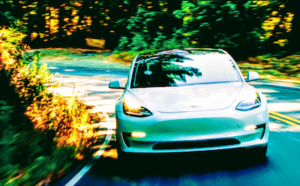 The foundation of the autonomous driving technology is a base of sensors and cameras that, even on the base Model 3, provide a brilliant array of active safety features that will enable Model 3 to perform feats like “Automatic Emergency Braking,” swerving and dodging — and even accelerating — to avoid incoming vehicles. These features truly raise the bar for what it is to be a safe vehicle. Model S and Model X are the safest vehicles in their respective classes, and with safety as the #1 priority for Tesla, all signs point to Model 3 being an extremely safe vehicle as well. While Chevrolet offers many of these active safety features, they are only included on higher-optioned vehicles, meaning most buyers will not benefit from them. 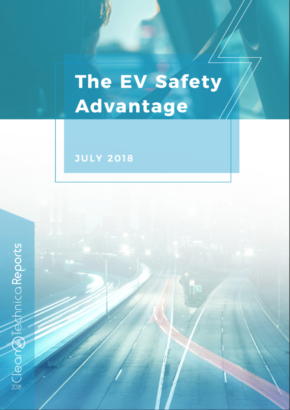 Chevrolet has high hopes for a favorable safety rating for the Bolt, and based on the performance of the Volt with its Insurance Institute for Highway Safety (IIHS) Top Pick rating, I am hopeful that the Bolt will earn high marks. Because of Tesla’s proven track record of delivering safe vehicles, the inclusion of active safety features in all current Tesla vehicles, and its safety-first focus, I’m going with Model 3 for the safety category. 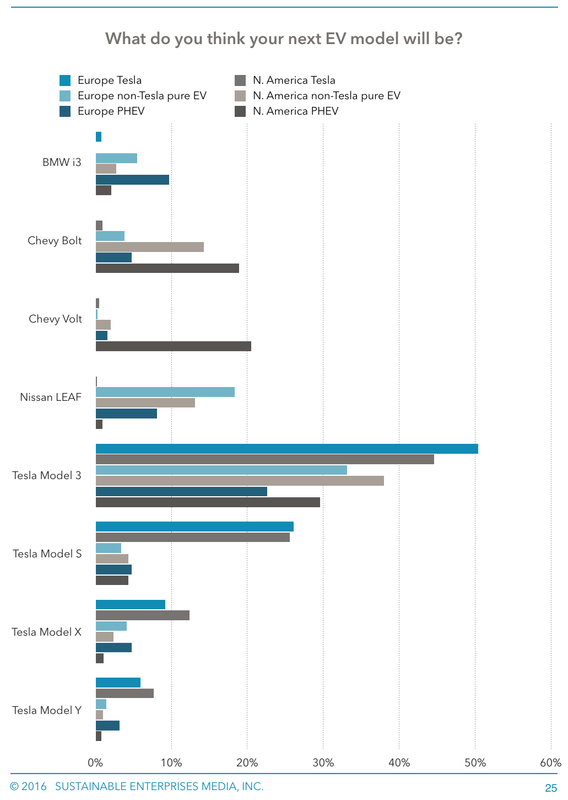 The Tesla Model 3 and the Chevy Bolt EV are neck and neck in just about every area, and everyone will weight each of the categories differently, which makes it difficult to compare the two. With the massive advantage of the Tesla Supercharging network and the autonomous vehicle technology the Tesla Model 3 will arrive with next month, I’d say the Model 3 takes the cake. Buying a car is often an emotional decision not driven by categories or data, so take this comparison for what it is — my perspective — and do your own research. 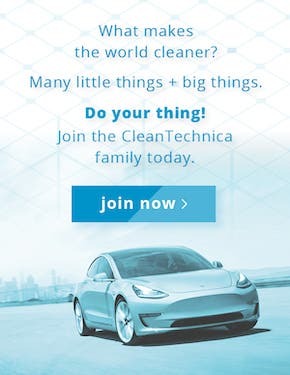 Become an expert and, most importantly, Drive Electric!